Relive Finals MVP Maya Moore and the powerhouse Minnesota Lynx's complete sweep of the Atlanta Dream to win the WNBA Championship. 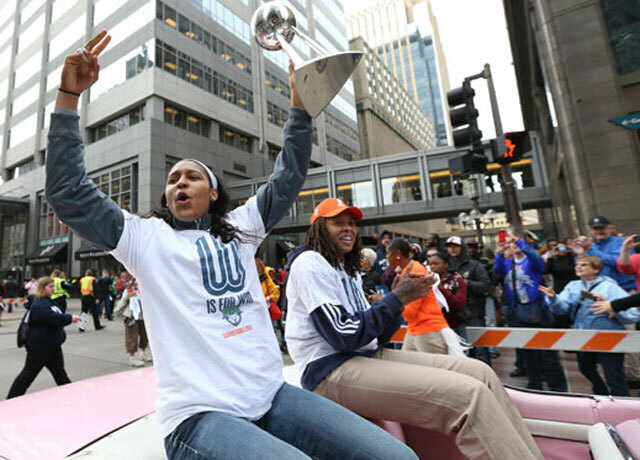 Finals MVP Maya Moore and the Minnesota Lynx joined with the fans in downtown Minneapolis for their 2013 WNBA Championship Parade. Finals MVP Maya Moore scored 23 points as the Lynx beat the Dream, 86-77, to complete the sweep and win their second WNBA Championship. 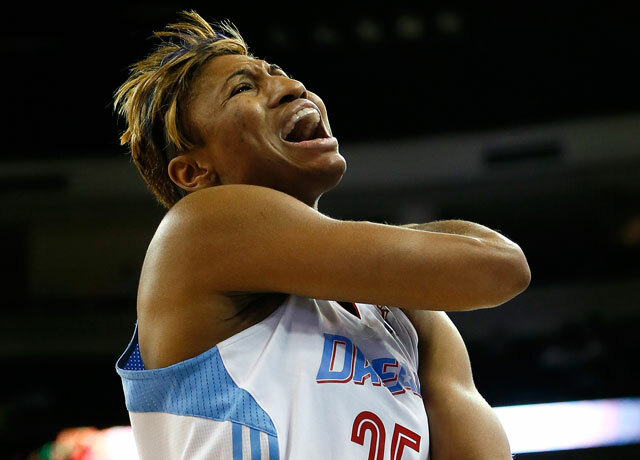 Atlanta's mercurial superstar Angel McCoughtry was defiant in defeat on Thursday night in Georgia. Selena Gomez launches the WNBA Playoffs with "Like a Champion" video. 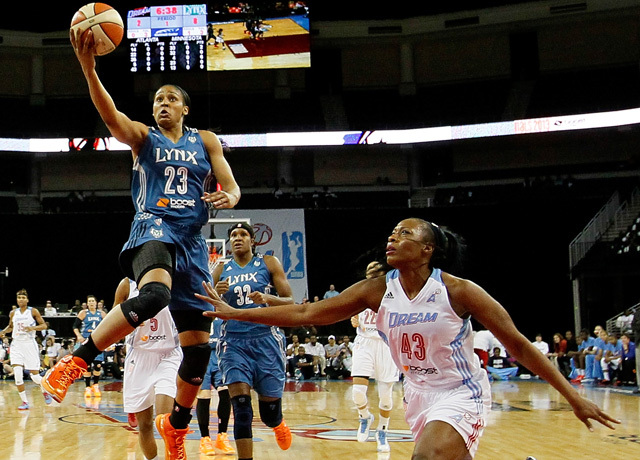 Seimone Augustus scored a game-high 20 points as the Lynx defeated the Dream, 88-63, on Tues., Oct. 8. Maya Moore scored a game-high 23 points as the Lynx took Game 1 of the WNBA Finals, 84-59, over the Dream on Sun., Oct. 6. Top stars talk about how it makes them feel to be powerful female athletes, the pride they have being apart of the WNBA -- and the responsibility that comes with it. 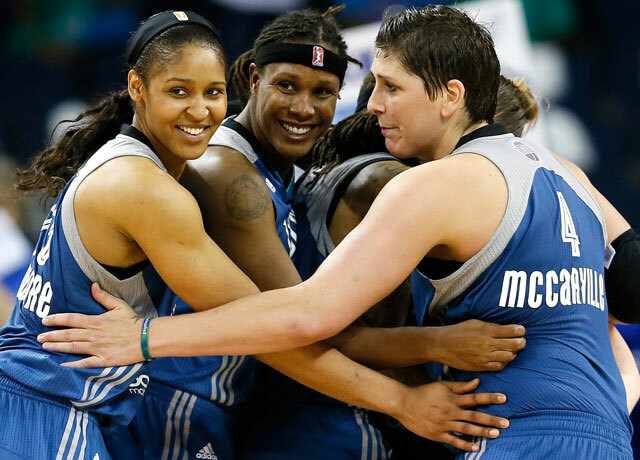 Minnesota Lynx star Maya Moore talks about her hunger to avenge last year�s Finals loss. Check out the latest via Finals Blog 2013. An all-access pass as the Lynx completed the WNBA Finals sweep against the Dream to claim their second league championship in three seasons. An all-access pass - on and off the court - as the Minnesota Lynx soundly defeat the Atlanta Dream in Game 2 of the 2013 WNBA Finals. An all-access pass, on and off the court, as the Minnesota Lynx soundly defeat the Atlanta Dream in Game 1 of the 2013 WNBA Finals. The Lynx celebrated their 2013 WNBA Championship with their fans during a Target Center rally on Monday. Lynx forward Maya Moore addressed the media after Monday's parade and Target Center celebration.